After considerable success in book form, in the comics, on the big screen and even, believe it or not, on radio, it makes perfect sense that the Lord of the Jungle would eventually swing into television. Tarzan would make his second attempt at TV a few years later, via the efforts of producer Sy Weintraub who took over producing the Tarzan theatrical films from Lesser in1958. Originally, hunky Mike Henry, who was then starring as Tarzan in the movies, was set to do the TV series as well. But, after three theatrical films, shot and location, and enduring injury, illness and various natural disasters, as well as a nasty chimp bite to his face, Henry decided he had had enough and hung up his loincloth. Unfortunately, cameras were already to roll on the TV production when Henry exited. Weintraub had to scramble to quickly find a replacement. 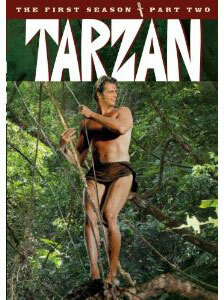 Luckily, long, lean, six-foot-four Ron Ely, has already been signed to play a Tarzan imposter for an upcoming episode. Ely was quickly promoted from Tarzan imposter to the real thing and the series got underway. Up until that time, Ely--who, ironically, had been auditioned for the role of Tarzan before Mike Henry was hired—had mainly eked out a career in TV guest spots and on the short-lived underwater adventure series “The Aquanauts” (1960-61). “Tarzan,” of course, would become Ely’s career-defining role and his approach to the character fit in well with the TV production’s new “take” on the famous jungle-man as well. 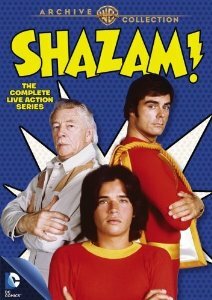 The TV Tarzan would no longer be the mono-syllabic mister of some earlier media treatments, the one that was later musically criticized by Crash Test Dummies in their 1991 song “Superman Song” (“Tarzan was king of the jungle and Lord over all the apes/But he could hardly string together four words: ‘I Tarzan, You Jane.’”). Ely’s Tarzan was a learned Lord who had returned to the jungle to defend and protect the jungle, its people and wildlife. But as civilized as the character was this time around, shooting for the program remained difficult. The first five episodes of the new series were shot in Brazil before the company moved to Mexico, both standing in for Africa. (Back in Tarzan’s early film days in the 1930s, the films were usually shot on MGM’s back lot in Hollywood.) Both foreign locations, however, offered their own problems. As detailed in Gabe Esso’s 1968 “Tarzan of the Movies” book, the actors and TV crew encountered torrential rains, insect invasions, flash floods, intense heat and humidity and dysentery. It took five months to film the series’s first five episodes. Causing some additional problems was the athletic Ely’s brave willingness to do many of his own stunts and to act himself opposite his giant animal co-stars. In doing so, bites and other bodily injuries became the norm for the actor. A case in point: not long after the series moved to Mexico, Ely was performing one of Tarzan’s characteristic vine-swinging moves when he slipped and fell 20 feet to the ground, landing on his shoulder. Production had to be halted for a week as Ely underwent surgery. The injury and subsequent operation left a scar on Ely’s shoulder which is visible in many head and shoulder shots of the actor. Two cameras caught Ely’s fall and the footage was later incorporated into an episode. By the end of the first season, Ely had suffered 17 significant injuries to his legs, feet, chest, arms, and face. Among the wounds were a torn muscle, a dislocated jaw and a broken nose. In one early stunt, Ely was singed on his limbs when he was required to run between some burning huts. Ely’s commitment (though it cost the produces majorly in insurance for the star) paid off. 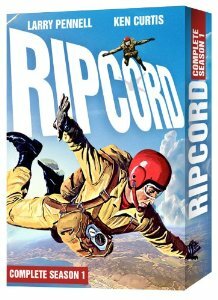 Many of the stunts and other action sequences from the series hold up stunningly well when viewed today. In fact, the entire series, when re-watched, remains an enjoyable achievement. Though some of the animal footage inserted into some episodes bear the tell-tale graininess of heavily-recycled stock footage, other shots and stunts and set pieces remain impressive and surprisingly cinematic. There are stunning shots of crowd scenes, expansive vistas and great waterfalls. Furthermore, during the show’s lifespan, the program welcomed to the jungle an impressive number of guest stars including: Julie Harris, The Supremes (who portray a trio of nuns and perform a lovely rendition of “Michael, Row the Boat Ashore”), Helen Hayes, Suzy Parker, Ethel Merman, Fernando Lamas, James Whitmore, Sam Jaffe, Maurice Evans, James Earl Jones, Tammy Grimes, Nichelle Nichols, Gia Scala, Sally Kellerman, George Kennedy and, once, Jock Mahoney, who had played Tarzan on the big screen in two features, from 1962 and 1963. The 1960s incarnation also paid tribute to its predecessors in other ways as well. The famous “Tarzan” call that opens every episode of the series was actually a re-use of Weissmuller’s original recording. 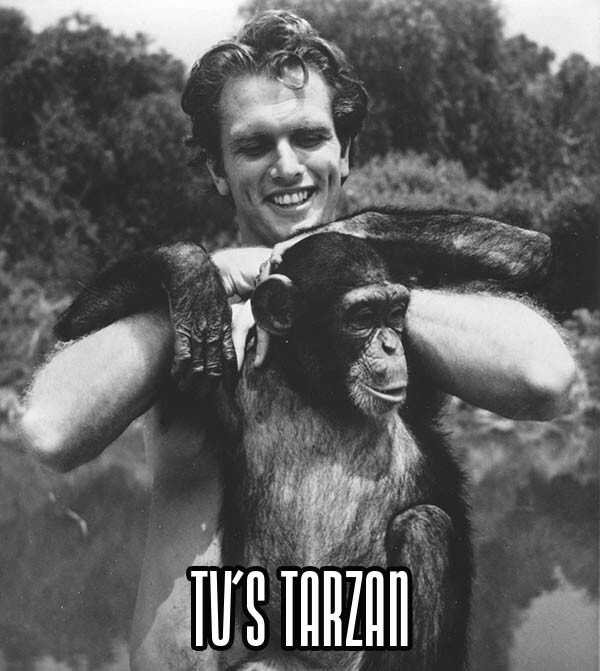 “Tarzan” premiered over NBC on September 8, 1966. Though the show debuted on a Thursday, it quickly moved to Friday nights where it would remain for the rest of its original run. Despite the high-recognizability and longevity of the “Tarzan” “brand,” this TV version of the Ape-man wasn’t much of a hit when it debuted. 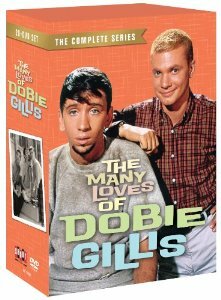 Its first episode ranked #51 in the ratings--good by today’s standards but poor for the then only-three-network universe of the 1960s. But, despite only so-so ratings, greater investigation into the show’s demographics inspired NBC to stick with the series. It seems that “Tarzan’s” biggest fans were not action-adventure seeking males but women ages 18-34. In fact, “Tarzan” was the favorite show for all women in the age group which might give a new meaning to the term “jungle fever”! Surprisingly though, even with that fan devotion and considering how iconic Ely would become in the role, this TV “Tarzan” series only aired for two seasons, 1966-67 and 1967-68. 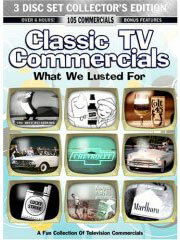 But, as often happens, the program found a second life in syndication. With no (or few) clothes or cars to make the episodes look dated, the series retains a timelessness long after it ceased production. Furthermore, its viewer appeal was able to transcend various other qualifiers: both kids and adults found the show enjoyable and, as we’ve seen, it managed to also bridge the gender gap as well. “Tarzan,” as a series, was even able to withstand many latter-day accusations of racism. In his 1992 book, “Blacks in White TV,” J. Fred MacDonald levels accusations at the program’s general premise of a white man taking on the role of a protector for all of Africa and, by extension, all African people. 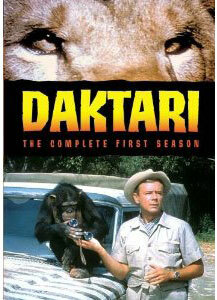 All in all, though, while such an argument may not be without its truthfulness, TV’s first “Tarzan” usually shows it lead character as highly respectful of his fellow African citizens and their customs. Furthermore, it is hard to argue with the series’s pro-environmental stance—throughout the series, Tarzan/Ely takes on a variety of poachers and big-game hunters, not to mention his almost weekly battle against would-be thieves and looters. Overseas, the “Tarzan” series proved popular enough and of high-enough quality to twice see two two-part episodes edited together and released as theatrical films. One of them (“Tarzan’s Deadly Silence”) was screened last year in at theater at the Library of Congress. After his time in the jungle, Ely would never return to the airwaves in another series. He kept busy in guest spots and in some theatrical films, most notably essaying the title role in 1975’s “Doc Savage.” He has also acted as a TV host on the syndicated TV game show “Face the Music” (1980-81) and as the host of the “Miss America” pageant (replacing Bert Parks) in 1980 and 1981. Today, along with the occasional acting role, he is also a novelist.